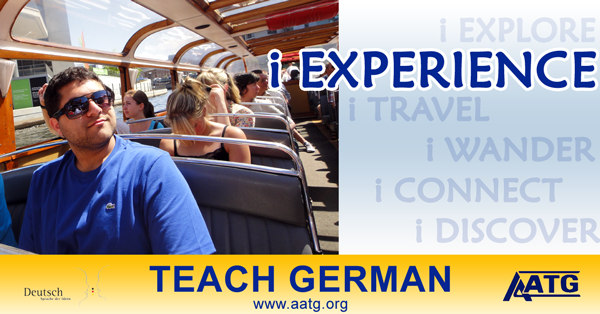 AATG’s Teacher Recruitment project focuses on the early identification of prospective teachers of German to begin averting German teacher shortages that many times result in program closures. 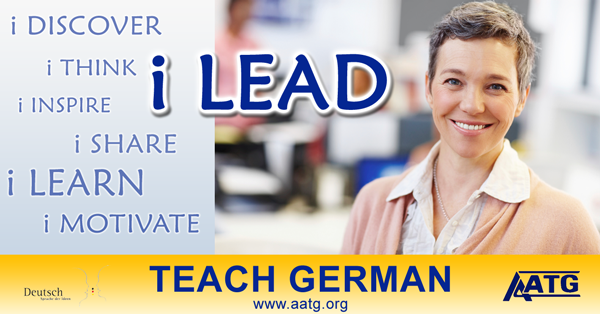 Planting the seed that teaching German is a viable and highly rewarding career choice is at the core of the project. 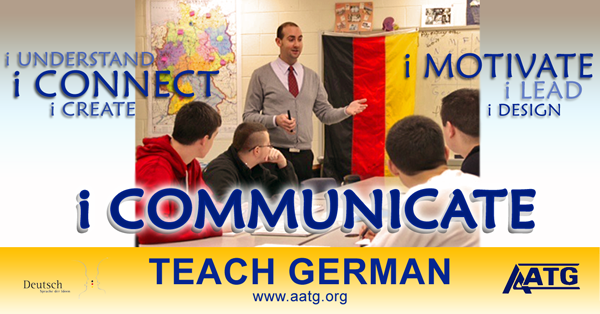 The project team has drafted a media campaign to promote German teaching and various strategies to be implemented by German educators when talking with students, parents, and counselors. 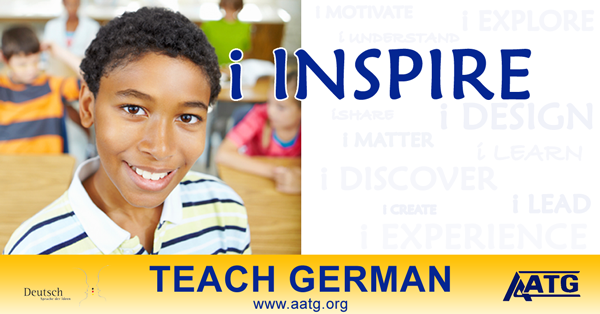 What inspired you to teach German? 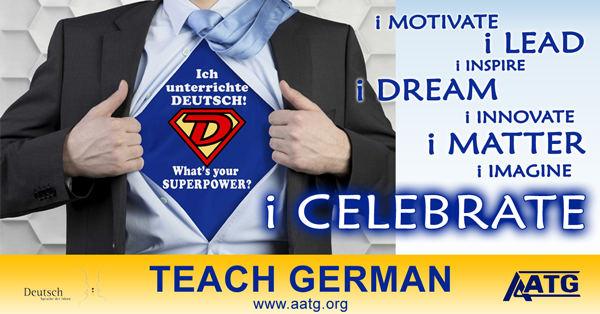 We asked AATG members to share with us their story about becoming a German teacher. Who inspired them? What did they discover about themselves and the world around them? How did they connect with the language, culture, and people? Many of you shared your stories and were featured in our April and June Newsletters. 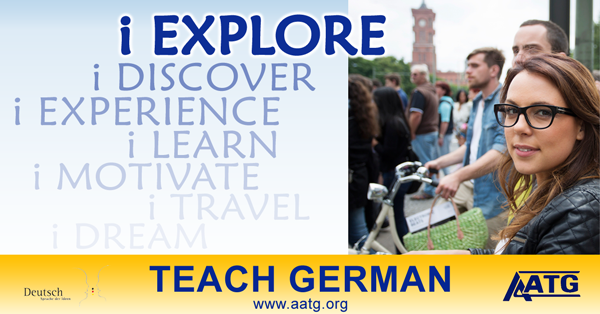 Our TEACH GERMAN brochure will inspire students to pursue a career teaching German. 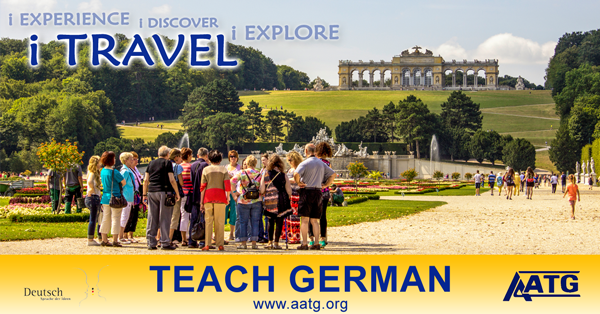 The brochure features compelling information about the profession, poignant quotes from teachers, and inspirational reasons to become a German teacher. Give copies to students, as well as school counselors. You pay only shipping and handling. Order brochures online. 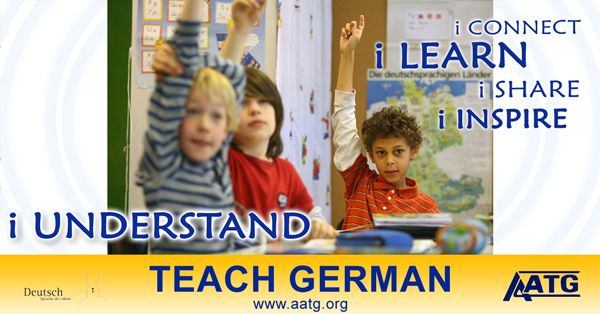 The i-IMAGES below highlight the many benefits and advantages to teaching German. Click to download, share, or tweet the each image. 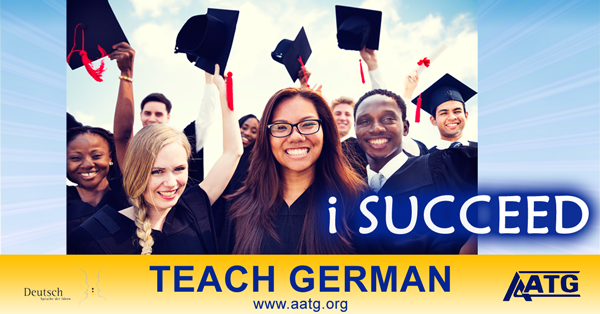 You can follow our social media campaign on Twitter and Facebook—and share the materials with colleagues and students. 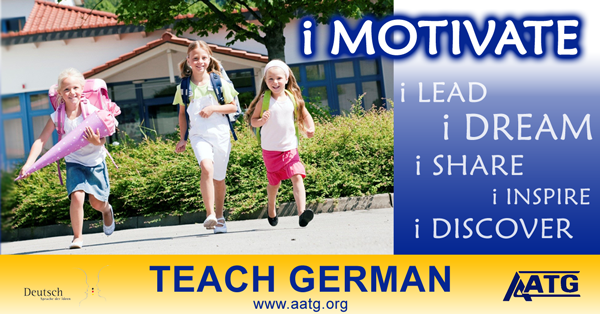 We all agree—teaching German is a rewarding career.